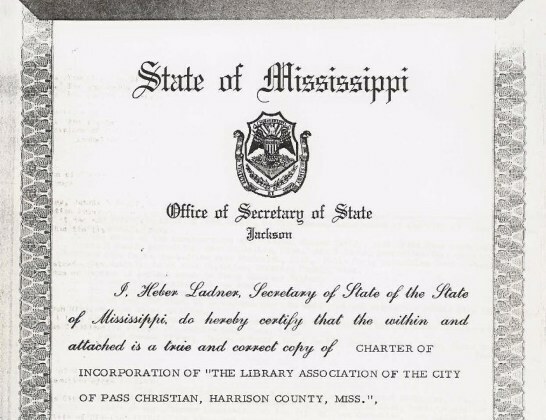 The original Charter was signed by the Secretary of State on June 19, 1908. At it's expiration 50 years later, --- fifteen years passed before it was noticed. 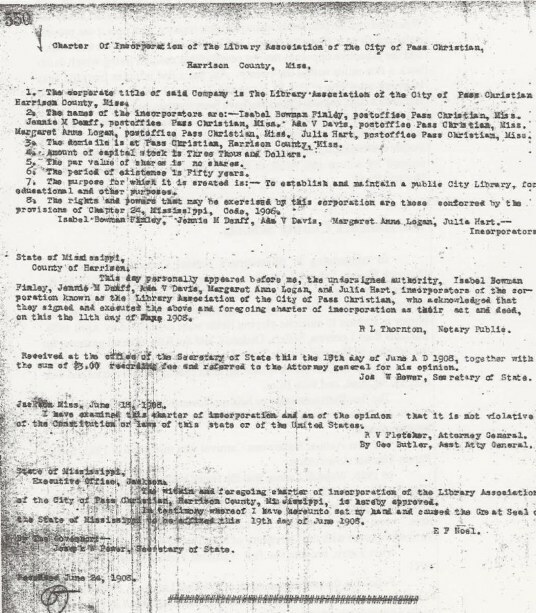 Re-incorporation took place on Februry 6, 1973. The first incorporation was for a 50 year period. The above corporate document cover page is dated February 6, 1973. The renewed legal document included the following attached copy of the Original.